A good car polish will go a long way to keeping your car's paintwork in good condition and stave off the ravages of weather and dirt, as well as make it look nice and shiny. Here are our pick of the best. 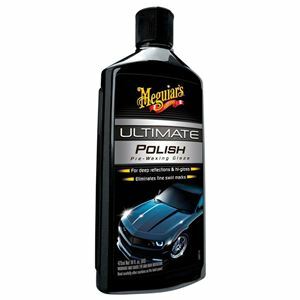 Meguiar's is a name you will frequenly see cropping up because they offer a broad range of high-quality products. This Ultimate Polish is dubbed a 'Pre-Waxing Glaze' because it acts like a very mild cutting compound, helping to remove fine paint marks before you finish off with a wax. Although aimed at dark cars in particular it can also be used with all gloss and clear coat finishes safely. This polish deserves its 'greased lightning' tag because it allows you to skip the pre-polish wash altogether. 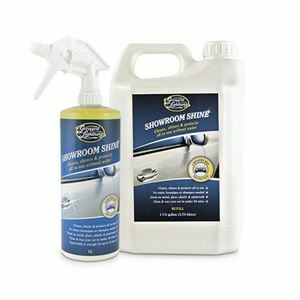 Simply spray it straight on to your dirty car - paint, windows, metalwork - and wipe it all off with a clean cloth. Then all you have to do is buff it with a second clean cloth and the job is done. 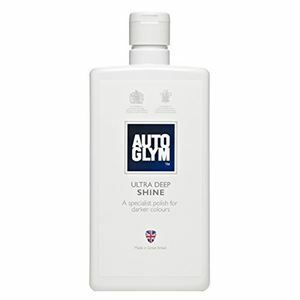 Autoglym has been a favourite of UK car owners for years thanks to the quality of its products, and this Ultra Deep Shine is designed specifically for owners of newer cars with water-based paint finishes. The blend of waxes and conditioning agents has been created to bring the best out of dark colours and leave a streak-free finish. A good polish will make your car shiny but a better one will keep it that way for longer. This DetailedOnline Polish Glaze contains PTFE - polytertrafluroetheylene to its friends - which is the slipperiest substance known to humankind and also hydrophobic, so it does everything it can to keep dirt and water off your nice clean car. 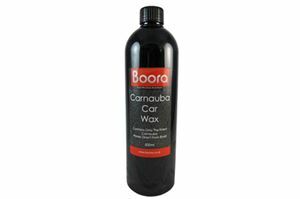 Strictly speaking this offering from Boora is a wax and so should go on your car after it's been polished, but it is worth inclusion here because of its caranuba content, one of the best waxes that you can use on your car. Designed for quick and easy application with a streak-free finish, it's perfect for sealing in the shine. 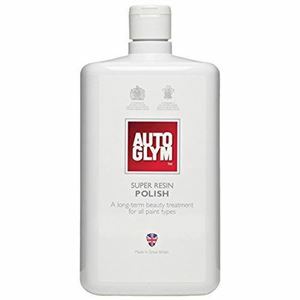 The first and only choice for many and with good reason, Autoglym's Super Resin Polish provides consistently excellent results and the formula has been subtly tweaked over the years to improve its performance. Available in a range of bottle sizes including a twin 1-litre pack with a microfibre towel bundled in. 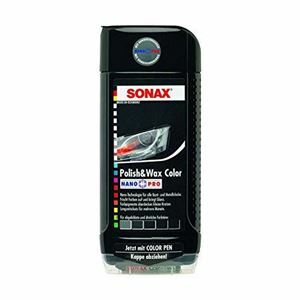 To save you even more time and elbow grease this Sonax offering combines both a polish and a wax. The polish element brings out the shine and also deals with minor paintwork blemishes while the wax locks in the shine and resists the worst effects of weather and dirt. Also included is a colour pencil for filling in small areas of paint damage. 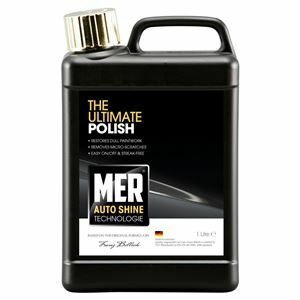 A huge hit in its native home of Germany, Mer combines the high-shine results of a polish with a very mild abrasive that will help to remove minor paint imperfections, giving you excellent results. It also makes it an ideal polish to use before waxing, a sensible precaution when using restorative polishes. 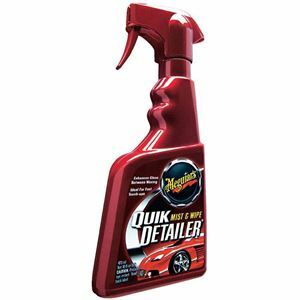 Another offering from Meguiar's but this time with high speed in mind, this Quik Detailer is designed to be used instead of a wash to give you a quick clean and shine. Spray on, wipe off and enjoy the finish. It's also worth having in your garage if you use clay bars as it can be used as a lubricant, and won't remove previous wax applications because of its pH balance. 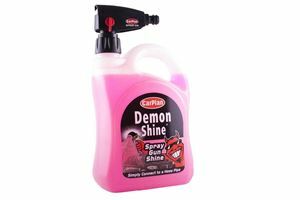 The shortest of shortcuts, the Demon Shine Spray Gun is as simple as car polishing gets without paying someone else to do it. Attach the bottle up to your hosepipe once your car is clean and spray it on - job done. You can buff it off afterwards or simply wait until its dry.